The date of the second call of the WiFi4EU voucher initiative has been announced for 04 April 2019 at 13:00 CEST. 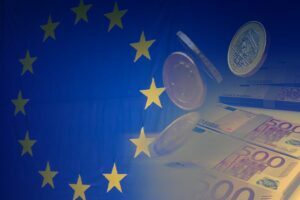 With a call budget of EUR 51 million, the Commission will distribute 3,400 vouchers across European municipalities on a first come, first served basis. In order to be able to apply for the EUR 15,000 voucher, municipalities need to register on the WIFi4EU Portal before the call. The voucher will allow the winning municipality to set up free Wi-Fi networks in public spaces. The call will be open until 17:00 CEST on 05 April 2019. For this call, the maximum number of vouchers per participant Member State has been raised from 8% to 15% of the budget of the call. 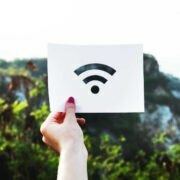 The previous call saw 44 successful Irish applications from a number of County and City Councils and municipalities are free to select the WiFi installation company of their choice. The Policy Conference, European Sustainable Energy Week, is the biggest European conference dedicated to renewables and efficient energy use in Europe. Sessions organised by the European Commission and energy stakeholders focus on sustainable energy issues, debate new policy developments, best practices and sustainable energy ideas. Carrying the momentum of the 13th edition, the 14th edition on 17-21 June 2019 will feature interactive sessions and activities. The Policy Conference includes a Networking Village and the EUSEW Awards Ceremony. Throughout May and June 2019, numerous Energy Days will take place throughout Europe, signifying local and regional contribution to the EU’s climate and energy goals. 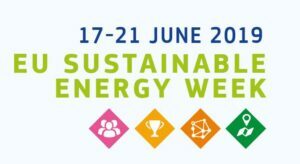 Taking place in Brussels between 18-19 June, the EU Sustainable Energy Week is the ideal platform for local and regional authorities, public bodies and private stakeholders to come together and discuss all matters relating to resource efficiency. It is the perfect opportunity to meet stakeholders promoting energy efficiency and renewable energies, learn about successful policies and inspire innovation to meet the EU’s energy and climate goals. Furthermore, the week will also see a number of awards presented to outstanding projects in the area of resource sustainability. Registration and agenda is available on the official EUSEW website. Cities and towns are the backbone of our ecosystems, providing favourable conditions for the strengthening of innovation, resilience and sustainability. The EU recognises cities with inclusive innovation ecosystems by awarding the European Capital of Innovation Awards (iCapital). In its 5th edition, the iCapital prize enables European cities to showcase their contribution to developing local innovation ecosystems for the benefit of businesses and the well-being of their citizens. The award is managed by European Commission’s Directorate General for Research & Innovation. An annual cash prize is awarded to the European city that is best able to demonstrate its ability to harness innovation to improve the lives of its citizens. This particularly includes cities that contribute to open and dynamic innovation ecosystems; involve citizens in governance and decision-making, and’ use innovation to improve the resiliency and sustainability of their cities. The prize value to the named city is €1 million, with €100,000 for each of the five runner-up cities. The award also recognises a number of finalist cities specially acknowledged for their efforts in promoting innovation. Cities with at least 100,000 inhabitants, in a Member State associated to Horizon 2020, are eligible to apply. More details on the selection criteria as well as previous success stories can be found on the iCapital website. Closing date is 9th June! 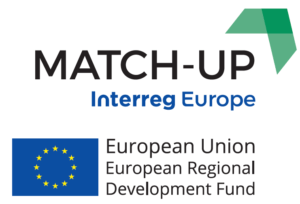 Interreg North West Europe Programme ninth call for project proposals is now open. The deadline for Step 1 applications is Friday 14 June 2019. The application form and support documents are now available online. The current call for proposals is only open to priority 1 and priority 3 of the NWE Programme. The Programme is looking for transnational cooperation projects that can deliver concrete results for the North-West Europe area and its citizens under its two priorities of Innovation and Resource and Materials Efficiency. Specific Objective 1: To enhance innovation performance of enterprises throughout NWE regions. Social innovation, including projects addressing the migration-related challenge, focusing on the integration of recognised refugees on the mid & long-term, in particular in the domain of entrepreneurship, employment and access to the labour market. Innovative products, processes and technologies contributing to CO2 reduction and the green economy, including green transport, in line with the big societal challenges addressed by the Paris Agreement. Specific Objective 5: To optimise (re)use of material and natural resources in NWE. Within priority 3, the NWE programme is specifically interested in projects focusing on circular economy. 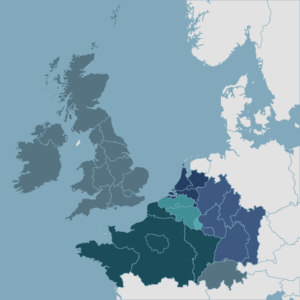 The Programme encourages public, scientific, private and civil society organisations to come together to improve the economic, environmental, territorial and social development of the regions in the North-West Europe area. The application process is in two steps. Step 1 focuses on the project need, its objectives and expected results. If approved, it is developed into a full Step 2 application and success at this stage means full approval and a grant award of up to 60%. Interreg NWE is one of the fifteen transnational cooperation programmes financed by the European Union. It is financed through the European Regional Development Fund (ERDF). 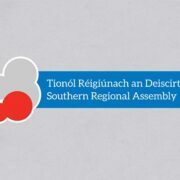 The Southern Regional Assembly and the Eastern & Midlands Regional Assembly represent the Member State on the Programme’s Monitoring Committee. On 8th January, INEA (Innovation and Networks Executive Agency) opened the 2019 CEF (Connecting Europe Facility) Transport for Proposals, making €100 million of funding available for projects of common interest in the transport sector. This is one of the last calls before the end of the current Multiannual Financial Framework 2014-2020. Reducing rail freight noise by supporting the retrofitting of existing freight wagons with brake blocks or disc brakes (€35 million available). Both works and proposals for studies are eligible for financing under the call, with various co-funding rates applicable and ranging from 10% to 50%. During the Information Day held on 17th January, INEA commented on the ongoing preparations for the next Multiannual Financial Framework, adding that almost all of the CEF budget for the current framework is committed. Under the 2014-2017 calls, Irish applicants submitted 28 eligible proposals. 19 projects were selected, with Irish beneficiaries receiving €90.1 million of CEF Transport funding, and investing a total of €485.9 million in these projects. Further details, as well as a breakdown of projects eligible for funding under this call are available by following this link. Applications close on 24th April 2019. The URBACT III Programme is looking for up to 23 new Action Planning networks, aiming to help cities in Europe find solutions to common urban challenges. Bringing together partners from different European countires to share experience and learn from each other, the partners will produce an Integrated Action Plan and have the opportunity to test some solutions in their cities. It is an exciting journey of discovery, sharing and experimentation which will empower city stakeholders, change the way your city works and have a real impact at local level. It is an exciting journey of discovery, sharing and experimentation which will empower city stakeholders, change the way your city works and have a real impact at local level.This is achieved using a tried and tested URBACT method of exchange and learning and support from experts. Want to know more? URBACT is organising a number of information webinars and the full schedule, along with registration links, is available here. The deadline for applications is 17th April 2019. Click here to consult the Terms of Reference for the Call, access the Guide for Applicants and use the Partner Search Tool. 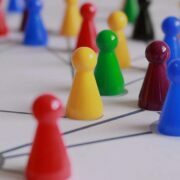 Would you like to learn more about the ongoing call for proposals for the creation of new Action Planning networks, which opened on 7th January? Over the last 10 years, URBACT has promoted mutual cooperation and exchange of experience across cities across Europe. It is an instrument of EU cohesion policy under the European Territorial Cooperation objective co-financed by the European Regional Development Fund and the national resources of the 28 EU Member States, Norway and Switzerland. The main objective of the program is to promote integrated and sustainable urban development by creating the conditions for cities to jointly develop solutions to similar problems, exchange experiences and share best practices. Two projects with Irish partners have been approved in the process. Kildare County Council will partake in ”Volunteering Cities”, a network aiming to make use of volunteerism to approach social exclusion and poverty at the community level via inter-generational collaboration, where different age groups of volunteers and individuals facing social problems work towards a sustainable improvement of the quality of life withing the local society. 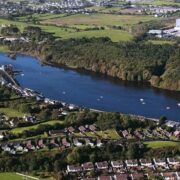 Cork City Council will partner in a project called ”Playful Paradigm”. To promote a more healthy and sustainable society through innovative approach, partner authorities will engage in the concept of gamification, in turn engaging city stakeholders in urban development. More about the above and other projects can be accessed through the URBACT website. URBACT is part of European Territorial Cooperation, responsible for fostering sustainable integrated urban development in cities across Europe. Co-financed by the ERDF and the 28 Member States, URBACT’S mission is to enable cities to create innovative solutions to urban challenges through networking, learning and identifying good practices. Committee of the Regions delegates from 28 Member States met on 5th and 6th December for the 132nd CoR plenary session in Brussels. It was a very busy plenary with 21 adopted opinions, a discussion with Commissioner Corina Cretu on the future of Cohesion Policy, as well as an update on Brexit from European Commission’s Michel Barnier. 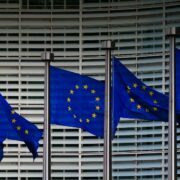 The CoR has called on the European Union to ensure that its plans to create a new single-market programme in 2021 have ‘’the flexibility to respond quickly and proactively to any disturbance in the functioning of the internal market or disruption in trade for SMEs that could, for example, result from the possible adverse impacts of Brexit’’. 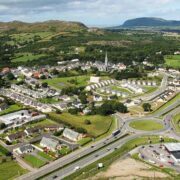 The call for flexibility was one of a set of recommendations adopted during the plenary as part of an opinion on the proposed Single Market Programme prepared by Cllr Deirdre Forde (Cork County Council). 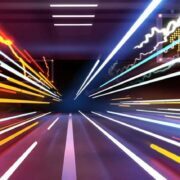 The opinion was underpinned by the belief that opening up the services sector and digital economy across Europe could strengthen growth in local and regional economies. While presenting her work, Cllr Forde noted that ‘’SME’s are the motor of the EU’s economy, creating 85% of new jobs over the past five years. We need to remove the handicaps on SMEs and enlarge the market for them. This is even more important because of the uncertainties of Brexit […] and because there will be (further) shocks to the economy’’. She also noted that ‘’the EU should be thinking small first as it pursues its ambition of a truly single market’’. Cllr Forde’s opinion also focused on the need to ensure adequate protection for consumer interests, particularly in the area of financial services. ‘’The EU should be thinking small first as it pursues its ambition of a truly single market’’. The opinion was widely welcomed by CoR representatives and was adopted unanimously during the plenary. Cllr. Forde’s opinion brings to a total of eight the number of CoR opinions prepared by the Irish delegation in the current mandate. 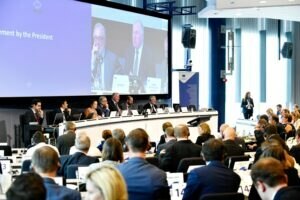 The second day of the CoR plenary began with a lively debate between the CoR Members and European Commission’s Chief Brexit Negotiator, Michel Barnier. 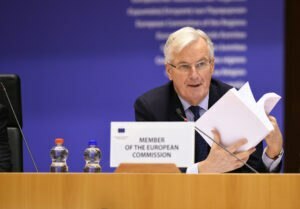 Mr Barnier took the opportunity to update the CoR delegates on the current state of play, as well as addressing a number of issues raised by members over during the two hour debate. Six members of the Irish delegation contributed to this debate, praising the European Commission and Mr Barnier for his ongoing hard work as well as the commitment to avoiding a hard border on the island of Ireland. Cllrs. Michael Murphy, Kate Feeney, Enda Stenson, Deirdre Forde and Declan McDonnell emphasised the importance of protecting the Good Friday Agreement, safeguarding livelihoods in border areas, and protecting Ireland’s trade routes with the rest of Europe. A full video of the debate can be found here. Speaking about the agreement, Mr Barnier noted that ‘’it is a balanced deal; it is the only one and the best one possible […] and respects the EU’s principles, while taking into account the UK’s red lines’’. To ensure no hard border on the island of Ireland, and to protect the Good Friday Agreement, the European Commission and UK agreed on a backstop mechanism, also referred to as the Protocol on Ireland and Northern Ireland. As part of the Withdrawal Agreement, a single EU-UK customs territory is established from the end of the transition period until the future relationship becomes applicable. This means that Northern Ireland will remain part of the same customs territory as the rest of the UK with no tariffs, quotas or checks between NI and the rest of the UK. 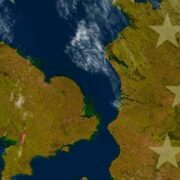 The Withdrawal Agreement establishes a single EU/UK customs territory if no other solution to prevent a hard border on the island of Ireland can be found by the end of the transition period. At the same time, Northern Ireland would also be subject to a regulatory union in order to avoid a hard border and to ensure that goods can continue to move freely across a soft border with no checks. The European Commission has published a detailed factsheet on the Protocol on Ireland and Northern Ireland, which is now available online. The CoR plenary began with a debate on the future of Cohesion Policy with Commissioner Corina Cretu, with responsibility for regional policies. Cohesion policy, with a budget of €351bn in the 2014-2020 programming period, is and will remain the key tool to promote economic, social and territorial cohesion. Representing 34% of the overall EU budget, the funds help reduce disparities and deliver more opportunities for all European citizens across towns and cities. While negotiations to fully adopt cohesion policy for the 2021-2027 framework are ongoing, the Committee of the Regions calls the co-legislators for simplification of the current rules and committing to no reduction in the level of funding. 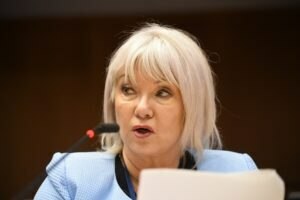 During the plenary session, the CoR delegation adopted a number of opinions on the future of cohesion policy, including Common Provision Regulation (CPR), European Regional Development Fund (ERDF) and Cohesion, Fund, European Social Fund (ESF+) and European Territorial Cooperation (ETC). Commissioner Cretu noted that ‘’the valuable work of the European Committee of the Regions on the future of cohesion policy has contributed to setting the pace for the negotiations’’ and she also welcomed the ‘’constructive approach regarding the Commission’s proposal, in particular the support for a strong partnership principle’’.